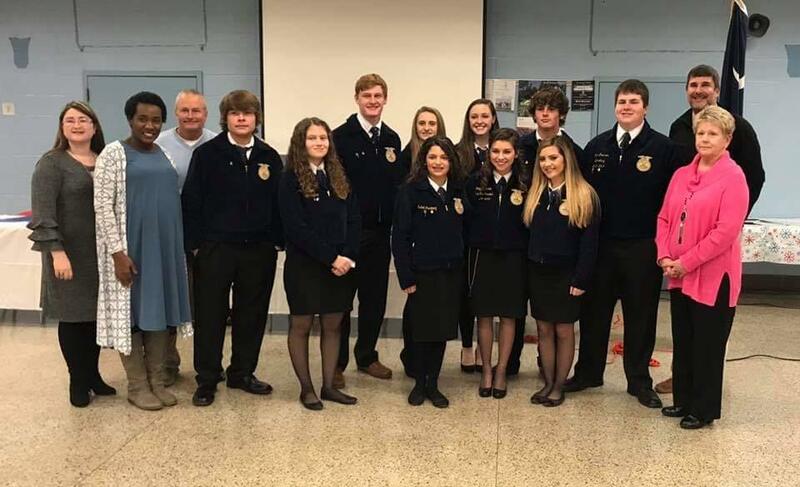 On November 27, the Central High FFA hosted their first semester awards banquet. At this banquet 17 students received their Greenhand Degrees and 17 students received their Chapter Degrees. Along with those degrees four people received their honorary chapter degrees. This degree is the highest award that a chapter can bestow. The four people that received this degree were: Mrs. Kenesha Smith, Mr. Damon Barnhill, Coach Mitch Leiard, and Mrs. Martha King. 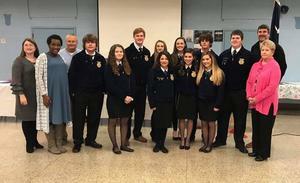 Each of these people have helped Central FFA this year in many ways and the chapters success would not have been possible without all of their time and effort put into the FFA.